How would you like to earn more money in 2015? If augmenting your revenue is a top priority, then you need to change the way work gets done. I am about to suggest over a dozen WordPress Themes that are guaranteed to shorten the amount of time you spend for each of your client’s projects. In this list are a new generation of powerful themes. Their design quality can pass the scrutiny of any web designer and they come with a range of useful features, features that matter – you’ll find yourself wondering why you haven’t come across them sooner. Well, it’s not too late. There’s never been a better time than right now. 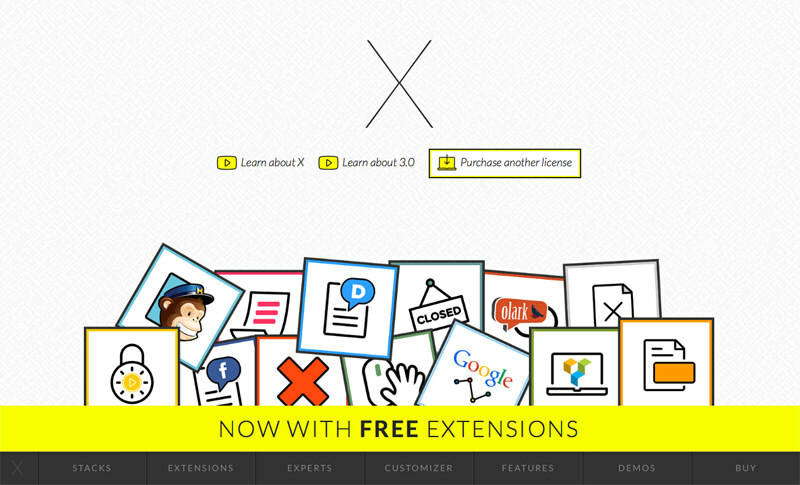 X theme comes with multiple complete designs. Choose from any four existing Stacks: Integrity, Renew, Icon and Ethos. They are open for customization, so you have the option of ensuring that no two sites featuring the same Stack will look exactly the same. You can fit in your customizations and preferences using its live editor. The Stacks also come with more than 30 awesome demos although some of them are still in the "in working progress" stage (hey, we’re only 2 weeks into the new year). But not to worry, X Theme 3.0 has just been released and it comes with 15 free WordPress plugins per license for most of your website building needs. Want to be in control when it comes to choices in designing your project? Try BeTheme. This is one already popular responsive, multi-purpose theme for WordPress probably because it looks gorgeous and well, it comes with a ton of great features. For starters, it has more than 70 demos, and you can install any of them with just one click. Pick a unique layout to better represent your client’s project, and then wow them with plenty of integrated goods like MailChimp, Yoast and bbPress. 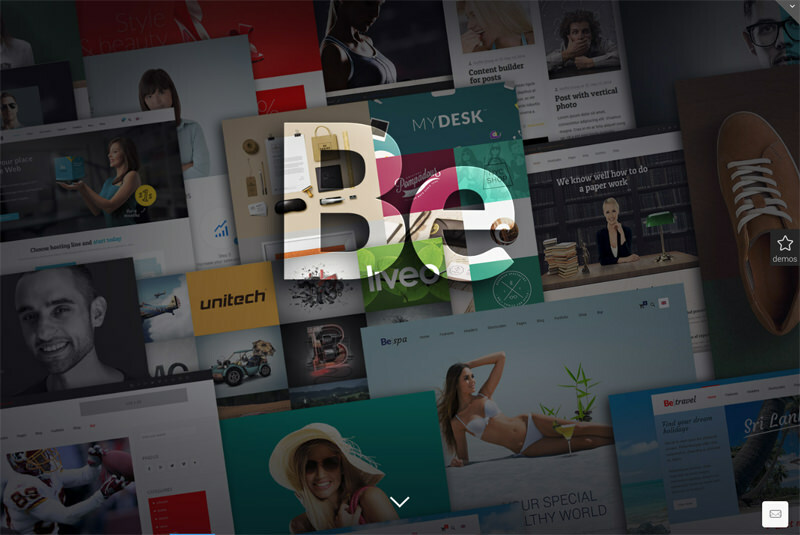 BeTheme receives updates on a weekly basis and has more than 200 shortcodes to fall back on. Already installed a theme, but want to change it? You don’t have to redesign the whole website from scratch. 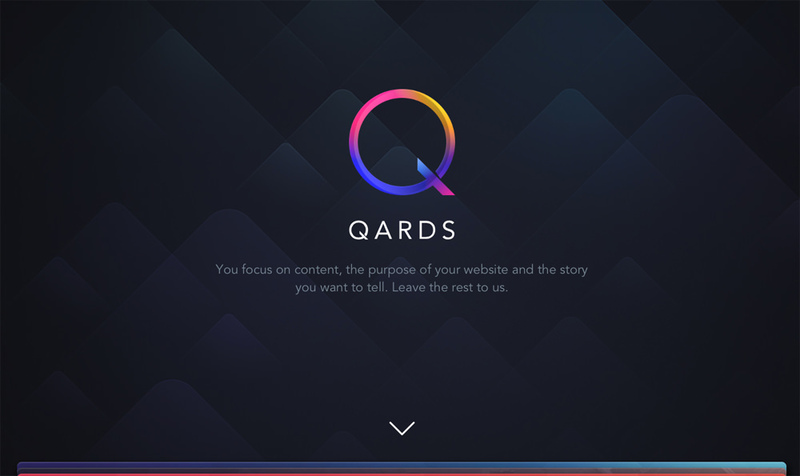 Just reach out to Qards, the fantastic page-building plugin. It gets along famously with all known themes. Grab this handy plugin and apply modifications without touching a single line of code. To use Qards your only job is to upload the website content, and piece cards (hence the name) together until you get the look and feel you desire. To change the cards, just use the in-line editor. When you’re done, what you’re left with is a brand-spanking new responsive website. This is a theme from Elegant Themes that lets you build sites by dragging and dropping modules, rows and columns. You can do this in the Divi builder. Although you don’t need to code to build with this theme, you can use CSS to further modify any of Divi’s 18 modules you want to include in your design. 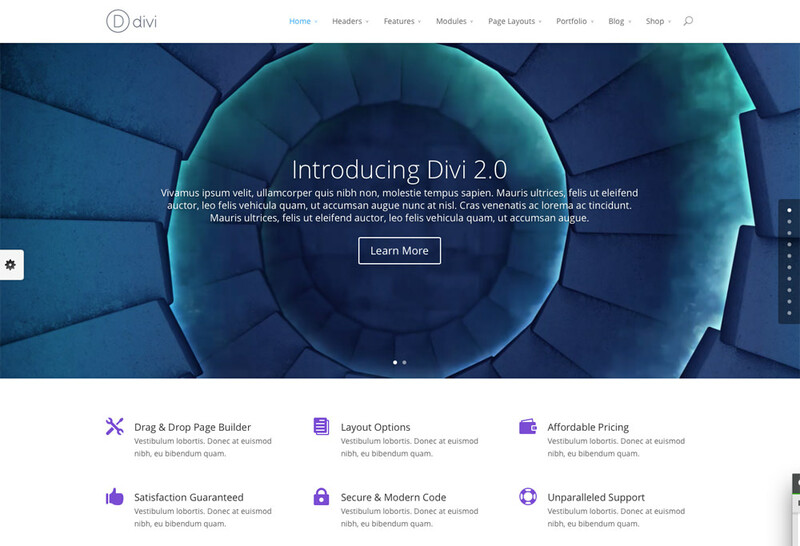 Divi also comes with more than 20 pre-made layouts (all with real beautiful header options) perfect for those who don’t want to start from scratch or who want to be inspired from an existing layout. Your final outcome is also responsive and is certified secure by the Sucuri team. 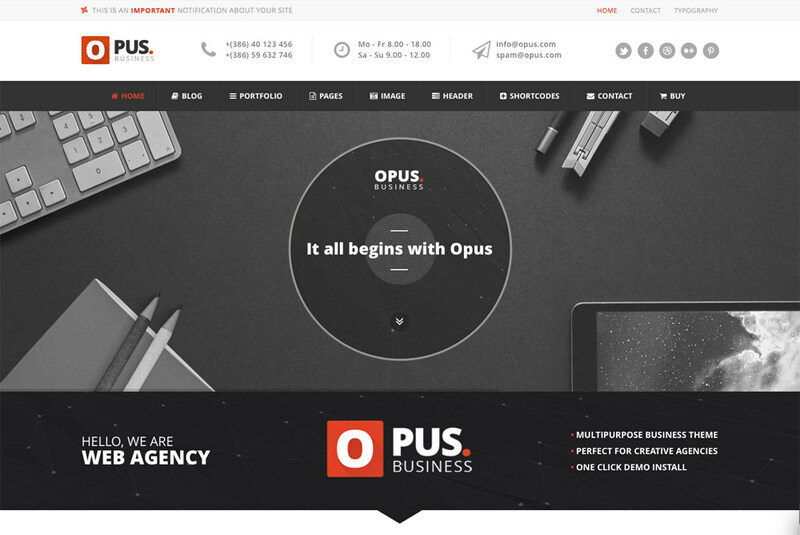 Looking for a modern, minimalist and multi-purpose theme, say for your new startup? Brand.ed has you covered. Bold, striking and fast, this WordPress theme has all the basic elements you need for building a site with modern stylings. It comes with a Live Customizer which lets you preview your changes as you make them. You will also probably like the horizontal parallax effect – perfect for constructing narratives – as well as it’s layered slider – perfect for site navigation. It also comes with its own icon set and a pretty awesome portfolio sorter you can check out in its demo. Want to start a restaurant website but not really sure what you need in restaurant website design? Just get ROSA. 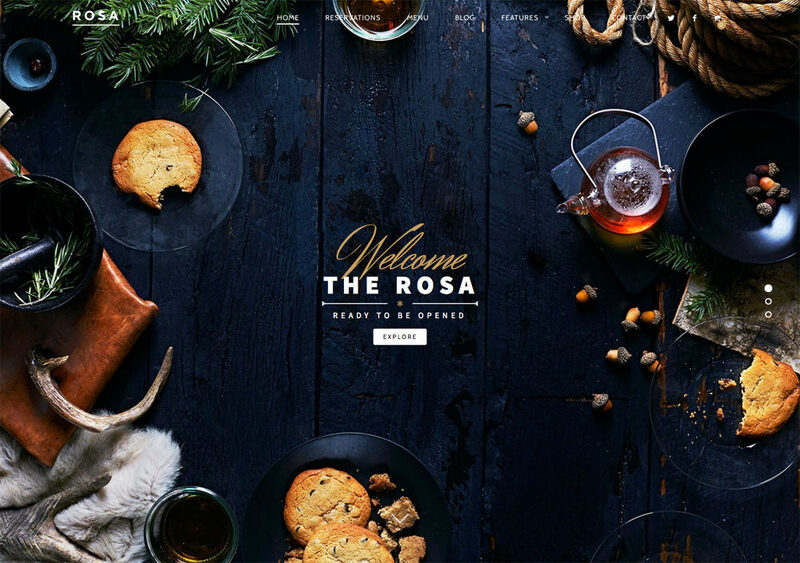 Perfect for featuring delicious delights, ROSA comes with beautiful menus and OpenTable reservations but what it does best is highlight high-resolution photos with its enchanting parallax scrolling and typography animation features. These features also make it a great theme to use for photography sites or sites that feature full screen image galleries. Plus, it comes with a WooCommerce plugin so you can set up shop and start selling once it is up and running (and all you need is one click to get started). Responsive, translation-ready and SEO-friendly, ROSA is an exquisite theme you should check out. Looking for a professional-looking, clean-cut theme? Here’s one for new businesses that want to start out strong in the new year. Highly customizable, Kallyas comes with plentiful custom page designs, site features, unique styles, and most evidently, a barrage of slider options that raise interaction levels and impress visitors. The page builder is also beyond reproach, and Kallyas comes with extensive documentation, and should you need it, top-notch support as well. Customize to your heart’s content and play around with shortcodes and color themes. Want to take over the online shopping landscape? Then let’s get a Royal WordPress theme up and running. 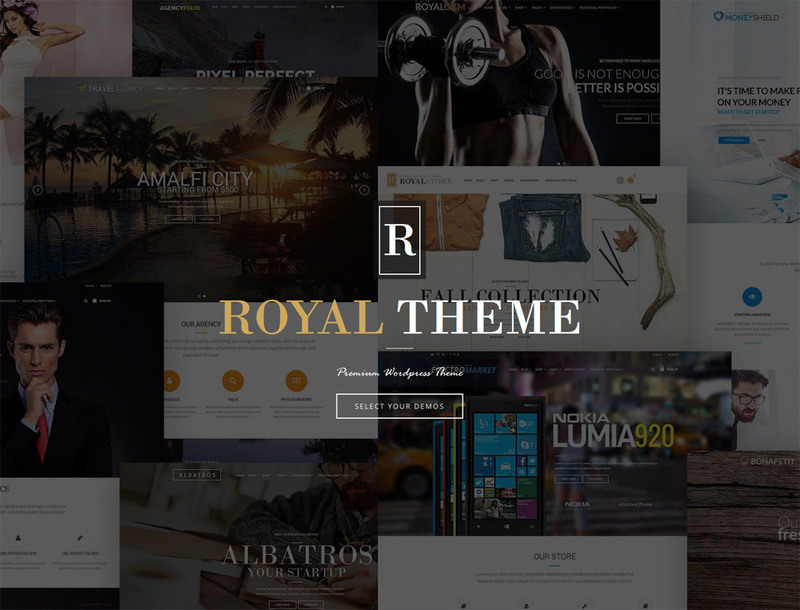 Royal contains more than 30 themes for the e-commerce or corporate look and another 30 or more single-page and coming soon (landing page) variants. All themes are WooCommerce- and WPML-ready, carries 6 plugins (including Visual Composer, Slider Revolution and Live Chat) worth $119, and are fully optimized. All future updates are free and reviewers sing praises of the team’s prompt support. Here’s another e-commerce WordPress theme that you will love, mostly because of its flexibility and easy-to-design features. This theme lets your buyers peruse your shop Pinterest style and lets them find their products easily with advanced search options and a good product filter. It features parallax scrolling, great fading and scaling transition effects, custom backgrounds for each menu link, promo pages for special-priced products, plenty of animation effects, and support for multiple languages and currencies. If you want to further customize the look of the theme, you can do so with custom CSS. 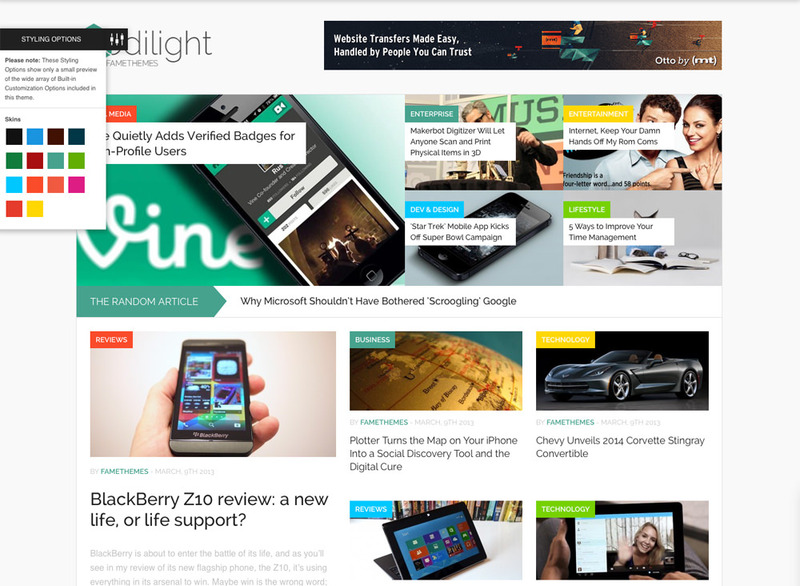 This is a theme for magazine, blogs or review sites, and it comes with plenty of customization options. It carries the FameThemes options panel, custom pre-made page templates, custom-built widgets (for your visitors’ social media fix) and shortcode generators. The theme is also optimized for SEO and high page speeds. And all the themes available have also been localized for easy translation. Codilight has cross-browser compatibility so it works well on all modern browsers (and IE8 and above). Want more themes? Here are 5 more. This is one for online portfolios or for fashion blogs. Choose from 16 visual-laden themes and plenty of image slider options such as galleries, carousels, flex sliders, full screen sliders, floating sidebars and more. Fully responsive, Oshin also has the parallax scrolling effect, video backgrounds and is WooCommerce and WPML ready. Sell your goods online on any of the 5 theme versions WooPress has to offer. 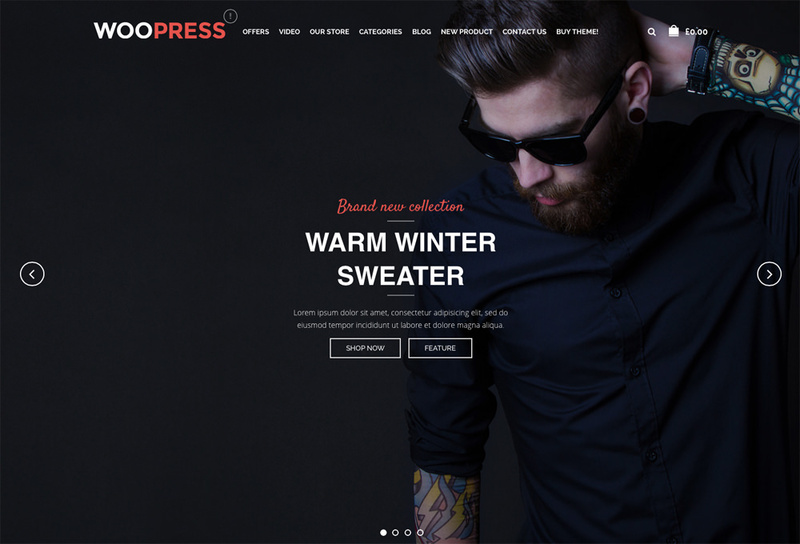 Responsive, modern, WooPress comes with plenty of features an e-commerce site needs: product sorting options, price filters searchbar, product suggestions, slider, nested navigation and shopping cart amongst others. Opus makes picking a theme very easy. 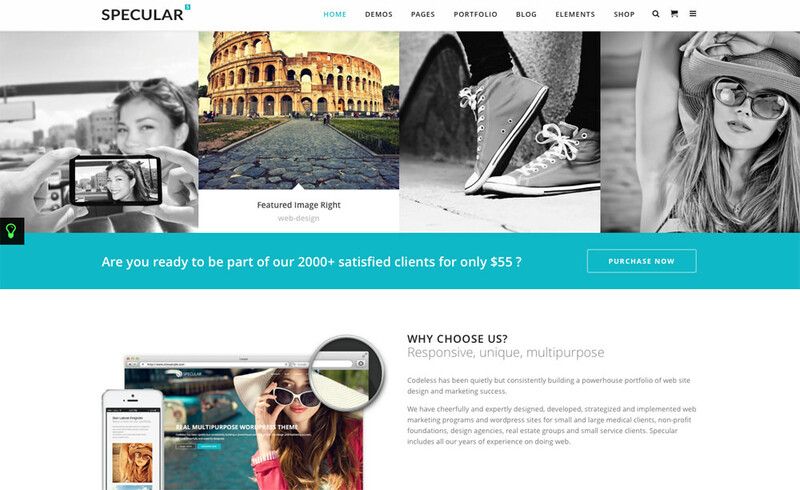 There are 14 retina-ready themes to choose from, and you can go with minimal, full screen, with parallax, without parallax, boxed, single-page, creative or professional to create your company blog or portfolio site. You can further customize this with any of its 100 shortcodes. Still can’t find any of theme to suit your needs? 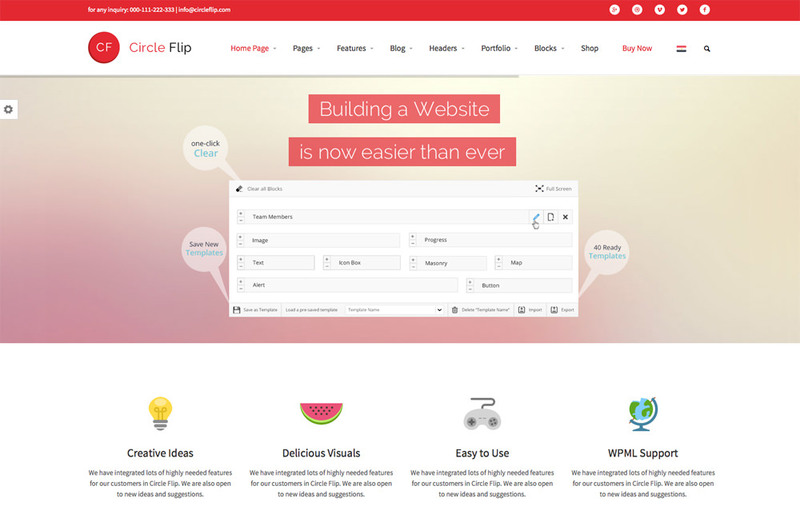 Then try any of these flips from Circle Flip. They have ready themes for hosting sites, magazines, medical facilities, hotels, schools, lawyers, engineers, online stores and more. 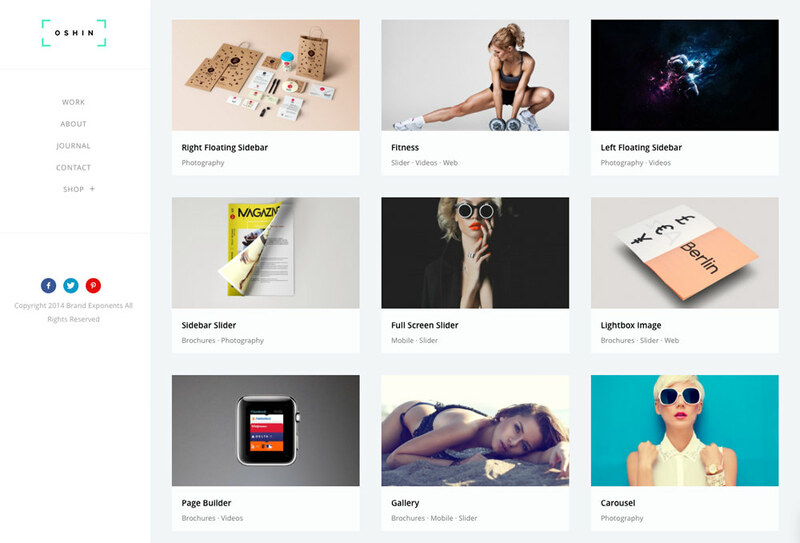 All themes showcase a very distinct flat design and you can make the changes you need in their user-friendly page builder. Editor’s note: This post is written by Kate Dagli for Hongkiat.com. Kate enjoys writing roundups for web dev and technology websites. She is currently a staff member of the-webdesigner.co.